Damages Awarded for Negligent Violation of FCRA | The Consumer Law Group, P.C. The Fair Credit Reporting Act (FCRA) is designed to protect consumers from unfair and inaccurate reporting of their credit information. Under the act, consumers are entitled to certain rights regarding the privacy of their information and are protected from the misuse or abuse of the information. When your credit report contains false information, you can suffer consequences such as higher loan rates, denial of loan applications, job rejection, and rejection of a lease application. There are specific steps you must take to correct misinformation on a credit report and the CRA is required by law to correct any false information. Along with having the information corrected, you may also be entitled to a damage award. In other words, if the negligent handling of your information leads to you paying higher interest rates, losing out on a job opportunity, or being denied a line of credit, the agency may be ordered to pay you back the amount you lost due to their negligence, plus attorney fees. 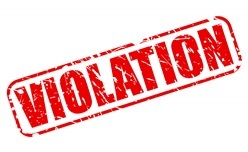 If the agency or an individual is determined to have willfully violated your FCRA rights, you could be entitled to more damages, which we will discuss at a later date. if there is information on your Credit Report that is wrong then you need to write a certified letter to the Credit REporting Agencies that it is wrong and send along the evidence that proves the Credit Reporting Agency's information is wrong. If you have gone through the required steps for disputing information on a credit report and have not had the matter settled to your satisfaction, you may need to take legal action with the help of an experienced FCRA attorney. Contact The Consumer Law Group, P.C. to find out if you may be entitled to damages from the company who violated your rights.